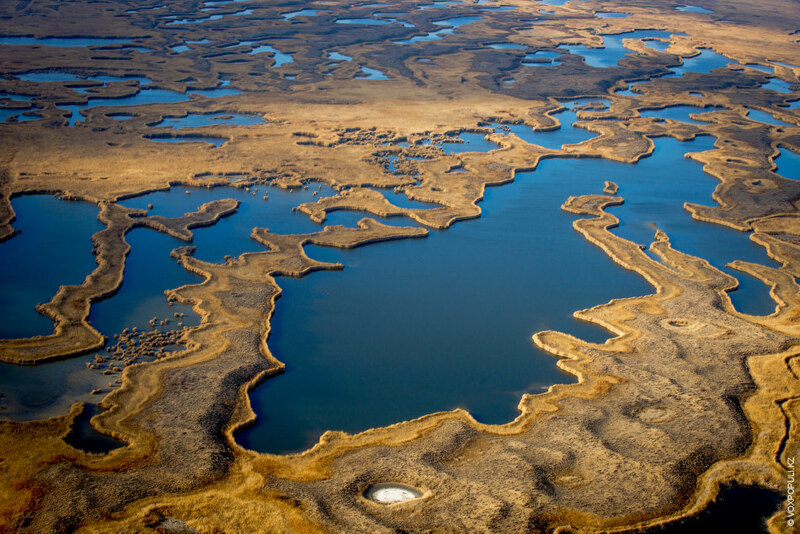 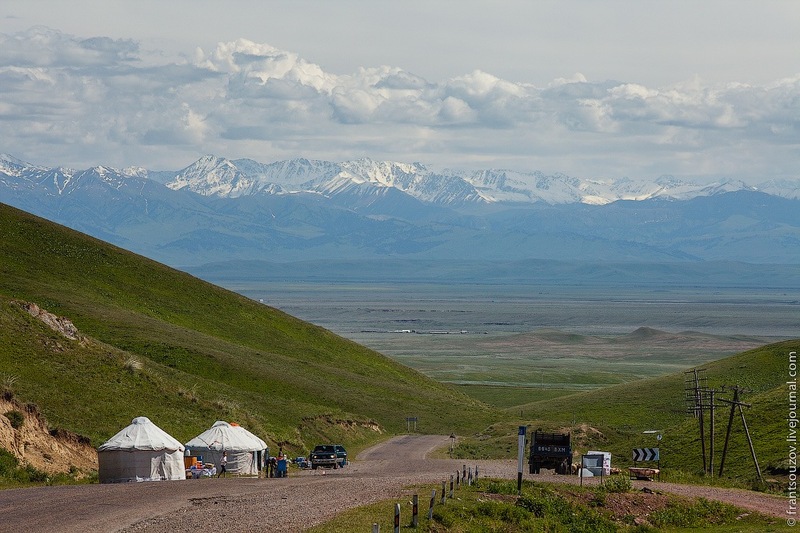 Kazakhstan is known as the land of steppes and semi-deserts but there are regions where natural diversity is amazing. The Mausoleum of Khoja Ahmed Yasawi is a mausoleum on the grave of poet and preacher Khoja Ahmed Yasawi located in the town of Turkestan in South Kazakhstan region. 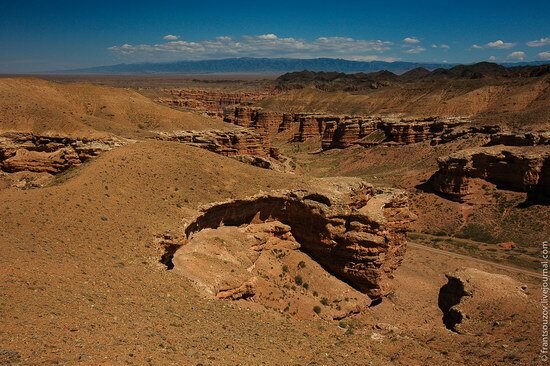 Charyn Canyon (Kazakh spelling “Sharyn”), located 195 km east of Almaty, near the border with China, stretches for 154 km along the Charyn River. 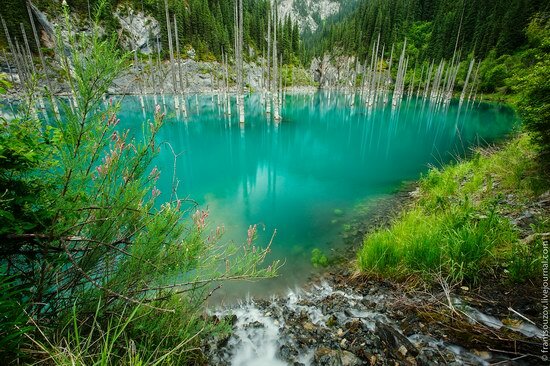 Kaindy is a mountain lake located in one of the gorges of Kungei Alatau to the east of Almaty. 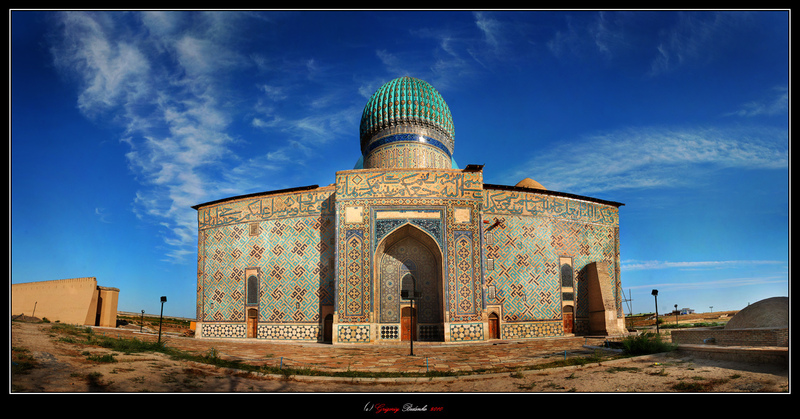 It is a popular tourist destination. Issyk is a lake located at an altitude of 1756 meters in Issyk gorge of Trans-Ili Alatau, about 70 km east of Almaty. The lake was formed about 8-10 thousand years ago in a landslide. 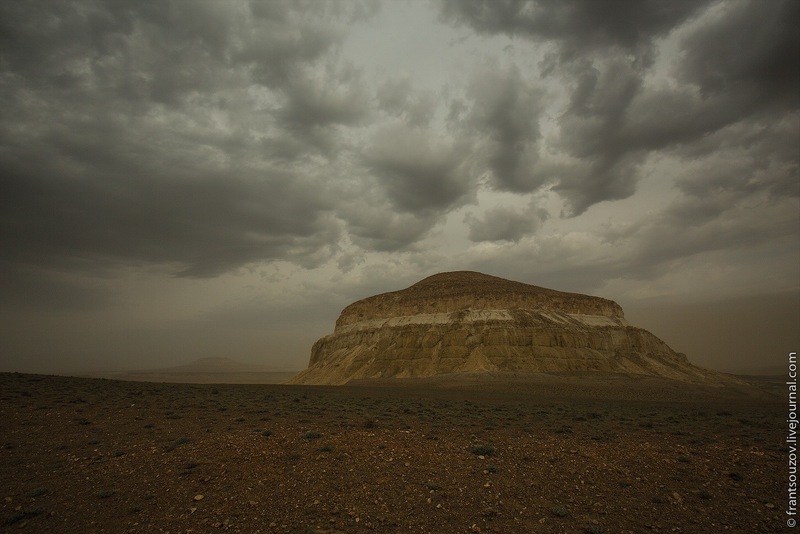 A lot of people think that Kazakhstan is one huge flat steppe, but there are places in the country that are true natural wonders, for example, the tract of Boszhira, a mountain range located on the Ustyurt plateau in south-western Kazakhstan. Charyn Canyon is a beautiful natural monument located in Almaty region, to the east of Almaty. 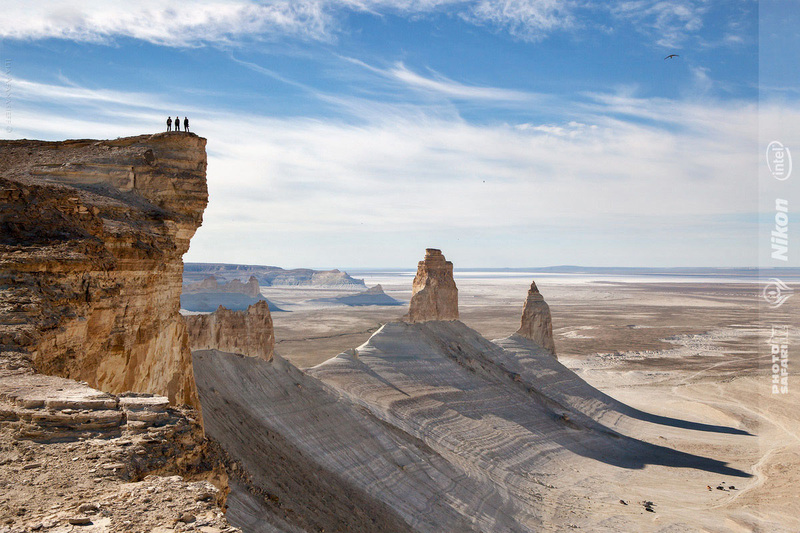 It is often compared to the Grand Canyon in Arizona, USA. Surprisingly, from all the sides the canyon is surrounded by the usual steppe. 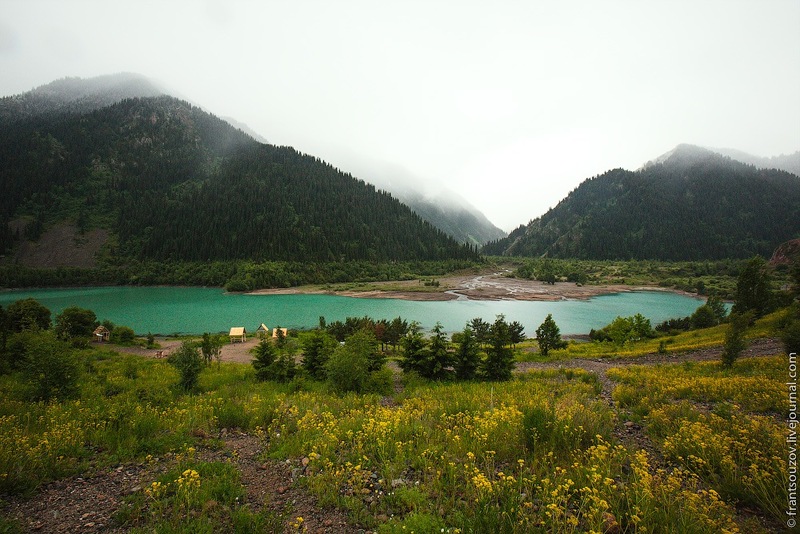 The Big Almaty Lake is located in one of the gorges originating from the southern outskirts of Almaty. 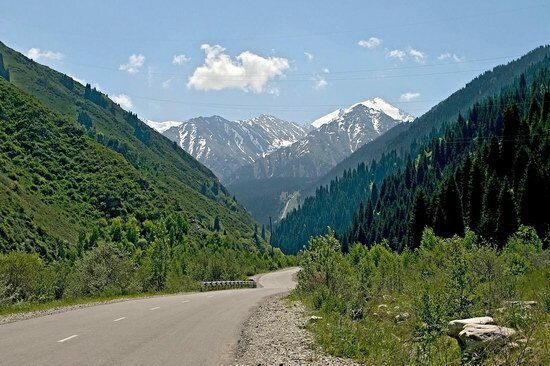 On the way to the lake, you will drive a winding road passing mudflow areas and two “ecological” posts. To pass them, you need to pay a small amount of money.